According to C21 Media, Nickelodeon International has bought the rights to Viva Piñata. NEWS BRIEF: 4Kids Entertainment is bringing 52 new episodes of the CG animated television series Viva Piñata to Natpe. As well as the new episodes, available in high definition, 4Kids has also announced TV broadcast agreements for the property with YTV in Canada; France 3 Television; RTL2 in Germany; Canal J pay satellite TV in France; Nickelodeon in the UK, the Netherlands, Spain, Australia and New Zealand (pay TV in all markets except the Netherlands); NRK in Norway; SIC in Portugal; and Israel's UCOI. Viva Piñata, about friends who embark on wild adventures on Piñata Island, airs on Saturday mornings in the US on 4Kids TV on Fox. The property made its video game debut last month, developed by Microsoft. According to C21 Media, the Nicktoons Network in the US has bought the rights to Planet Sketch. Planet Sketch, from Canada's Decode Entertainment and the UK's Aardman Animations, has found a new home on the Nicktoons Network in the US. 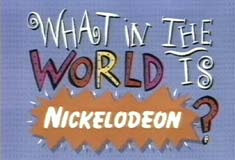 Nicktoons Network has ordered all 26 11-minute episodes of the hit coproduction, which will premiere in spring 2007. The animated sketch show features characters such as the Street Rappers, the Gnaughty Gnomes and the Parping Ponies, two horses who never manage to hold down a decent job due to flatulence issues. The series was originally commissioned by Teletoon Canada and the UK's CiTV. It has also been acquired by a host of major international broadcasters, including France 3; ABC Australia; Jetix Europe; Cartoon Networks in Asia Pacific and Latin America; WDR ARD in Germany; TV 12 in Singapore; Belgium's VRT; Denmark's TV2; and South Africa's M-Net. It also recently premiered on Nickelodeon in France. Keith Dawkins, VP and general manager of Nicktoons, said: "We take great pride in having established ourselves as a home for fresh content, compelling characters and creators, and Planet Sketch delivers all of this wrapped up into one series." According to NickTVAnt on the official Nick Jr. Channel message boards, the Nick Jr. Channel has no current plans to show the classic children's television shows The Raggy Dolls, SuperTed, Tube Mice and Henry's Cat. New shows on Nick Jr? I read on another website that you are bringing some new shows to Nick Jr including The Raggy Dolls, SuperTed, Tube Mice and Henry's Cat but you don't seem to have any information about this on your site. Could you please tell me if these shows are coming to Nick Jr or not? Hi there! I'm afraid that the information you've read is not true. We're never quite sure how rumours like this tend to start, but unfortunately in this case there are no plans to show any of those programmes any time in the near future. We are bringing on more new shows all the time, though, and we have some very exciting new shows on the way in the new year, which we hope you'll enjoy. Nickelodeon Plans Live Action Version of Avatar: The Last Airbender! According to Animation World Network Headline News, Nickelodeon is planning to make a live action version of Avatar: The Last Airbender. Coming off the lackluster performance of LADY IN THE WATER, M. Night Shyamalan has signed on to write, direct and produce the live-action adaptation of Nickelodeon's popular animated series, AVATAR: THE LAST AIRBENDER, reports the trades. Paramount Pictures' MTV Films and Nick Movies, who are producing, plans to live-action adaptation into a trilogy with Shyamalan. The film will be the first Shyamalan has directed in which he has not written an original screenplay. He previously co-wrote 1999's STUART LITTLE. AVATAR was created by Michael DiMartino and Bryan Konietzko, Influenced by Asian art, mythology and fighting styles, the animated series is set in a world where the masters of the four nations -- Water, Earth, Fire and Air -- can manipulate their native elements. With the Fire Nation waging war, two teens free the Avatar, master of all elements and his flying bison to help restore peace to the world. Though the Nick series previously existed, the live-action feature may have a difficult fight over using the title AVATAR. As previously announced, James Cameron will begin production on his AVATAR titled feature later in the year. Cameron has been developing his project for 12 years. Both Cameron and Nick claim they have registered the title with the Motion Picture Assn. of America. Are You Afraid Of the Dark: Seasons 1 and 2 DVD Set Announced! According to Amazon.co.uk and Sendit.com, Revelation Films will release Seasons 1 and 2 of Are You Afraid Of The Dark? on DVD in the UK (Region 2) on Monday 19th February 2007! Availability: This title will be released on February 19, 2007. Popular children's supernatural series originally broadcast on ITV and Nickelodeon in the late 1990s. Amazon.co.uk and Sendit.com are also taking pre-orders for the Are You Afraid Of the Dark? : Seasons 1 and 2 DVD set. So check it out and here's to another 10 years! 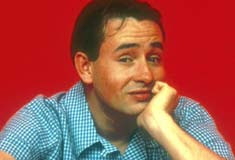 Nick first started broadcasting on 1st September 1993 on Sky. We promised "to be the channel that defend the cause of kids and to make a better world for kids everywhere in this United Kingdom!" The first program we showed was James The Cat and the only show that's still in schedule now from that first day was Clarissa Explains It All! When we started there were only THREE kids channels. Now there are TWENTY! 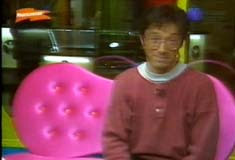 1994 saw our first live presenters, even though these were only during the school holidays! At first we came direct from Sky's studios, but we soon moved to the Trocadero Centre in the middle of London. Our first presenters were Rick Adams (that's him left), Malcolm, Lucy Alexander, Mounya and a certain Yiolanda! They were soon joined by Bogey and Rude! 1994 also saw us start our now legendary Watch Your Own Wednesday and Weekends. The first WYOWs were hosted by boyband Take That, including Robbie Williams and Mark Owen! We also showed the first episodes of Rugrats, Doug, Aaahh! Real Monsters on Halloween. Other shows that we were showing included Denver The Last Dinosaur, The Monkees, Ultraman, Alvin & The Chipmunks and Speed Racer! We also launched the first ever Kids Only text service NickText. Which is still going today! Other Nick presenters at the time include Bert The Fish, Rick Adams, James Gilby, Nigel Mitchell, Mike McClean, Sarah Cawood and Helen Chamberlain. Show highlights included the first ever showing of our original and favourite twins Tia and Tamera in Sister Sister! Other shows included the Nick debut of Ren & Stimpy, Duckula, Biker Mice From Mars AND The Secret World Of Alex Mack! Nick kids were waking up to Nick AM with Mike McClean and his early morning tomfoolery, such as Guess The Gargle, Ready, Steady, Brekkie and Show Us Your Draws! Popping into the studio we had a pre-Angels Robbie Williams AND The Spice Girls! This year saw us become the UK's Number One kids TV channel and we've held this position for the last SIX years! This year also saw the two fearsome twosomes start on Nick, first up Kenan & Kel and then Angry Beavers! Mou and Yio were doing the afternoons and they were joined by Elvis, Lisa B and Matt Brown! Elvis was one of the world's first totally computer generated presenters and used similar computer that was used to do the special effects in Jurassic Park! As the whole World was going crazy for the World Cup in France, we made our first fully fledge series with The Renford Rejects. A show all about a hapless football team, guest stars through out it's run included the 1966 World Cup winning team, Ian Rush, Gianfranco Zola and Martin Keown. We started giving a whole block in the mornings to Nick Jr., including UK produced Blue's Clues with Kevin! May was a big month with our first Watch Your Own WEEK! A full FIVE days of multi-choice TV that put YOU in total control. Other shows that we started showing included CatDog and The Wild Thornberrys. We also started broadcasting in crystal clear digital on Sky. We started showing Nick News! 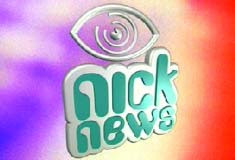 Nick News was a news show that was presented by kids that had written in. The show also had a fancy website where you could apply to be on it AND you could actually watch the show too! Not only that, but Nick News was the first ever satellite programme to win a BAFTA (very important TV award!). It didn't just win one, but two! Big shows in '99 included Cousin Skeeter, Three Friends & Jerry and Rocket Power. We also introduced the UK to Mary-Kate and Ashley. As well as all that we launched the Nick Jr and Nick Replay channels. Michael Owen won the first Kids Famer award AND the Rugrats Movie opened in UK cinemas! Also this is how the website looked back in 2000 too. Not very many games on it, but we did do a couple of webchats with Kenan & Kel AND Tia & Tamera! We launched N-List and unlike any other chart at the time gave you total control of the chart. It was first presented by Kelle Bryan, and she was soon joined by our new presenter Dave Berry. Acts that aperformed on the show included Liberty X, S Club 7, Ronan Keating, Hear'Say and A1. New shows to start on Nick this year included Saved By The Bell, Tucker, Brothers Garcia and The Amanda show. We also started making kids dreams come true with Reach For The Stars with Steve Wilson. Lucky kids got to sing with A1, play football with Trevor Sinclair and give Yolly a haircut! We launched Nicktoons TV, a WHOLE new channel for all your top Nicktoons, including new additions Jimmy Neutron and Fairly Odd Parents! We also made a toon out of a real life family in Meet The Moores! Ten years on Nick UK is still THE number one kids channel, with more than 3.5 million kids tuning in every month! We've still got a load of great new shows, now including What I Like About You, Spider-Man, Gilmore Girls AND the seventh and final series of Sabrina. We also just had our biggest and best On The Road and also got kids to do dares like mucking out elephants to make their dreams come true with Dare U? We're also the number one channel for getting you involved with our new U-Pick Live weeks and earlier this year with our revolutionary quiz show Off The Hook! 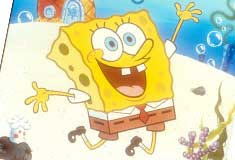 What are your favourite memories of Nickelodeon UK? Let NickALive! know on Twitter, Tumblr, Google+ and/or Facebook! The Nickelodeon UK Timeline above was archived from the official Nickelodeon UK 10th Birthday Celebrations website, which was created in 2003 to mark the anniversary of Nickelodeon UK's tenth year of broadcasting. This policy sets out how NickALive! collects information about you and how that information may be used.